I know this topic is old and hasn't had any posts for a very long time. 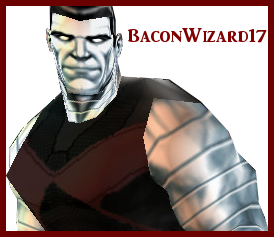 But, does anybody have the link to download the Havok mod that was converted from XML1? I clicked every link on this thread, hoping to be able to add Havok to X-Men Legends 2 on PC. However, they keep saying either "This file is invalid or deleted", or "The clock on your PC is incorrect". I'm just hoping that someone has the original Havok archived or something, since a lot of the links are dead. I'd love to play as Havok in XML2. Oh. Thanks for telling me. I'll try it out. Thanks for telling me that also. I was wondering what to do last night, since I couldn't find his herostat file. I just got done testing him out and he works. I would've never guessed that the heroreal file would've contained Havok's herostat. Thank you.